We were all fascinated, at least once, by Lego. Those little pieces have something paradoxical: you can build anything out of them, although not closely resembling anything. But here is where the magic lies! Basically, the Lego pieces can make a “skeleton” for imagination. And children are very good at this! But what do you know about Lego? Some parts can be combined, they’re sold in sets, all children want them, and… not much else. 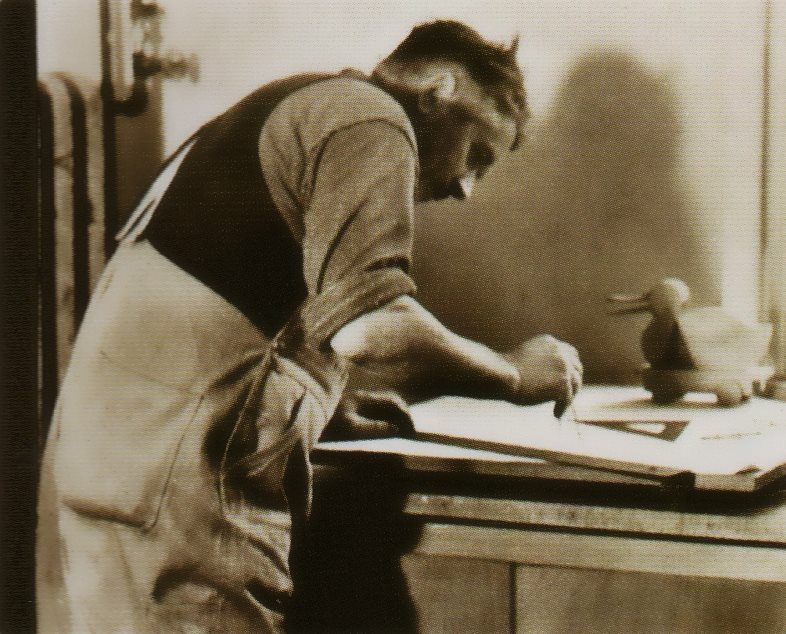 Ole Kirk Christiansen was born on 7 April 1891. He was the tenth child in a poor Danish family. No chance to have a room full of toys, like children today have. But he surely dreamed about one. He was an apprentice to a carpenter. Working man with initiative, raised some money and in 1916 bought a carpentry workshop (which already existed since 1895). They were participating in the construction of furniture and houses. As trivial as possible. In 1924, the workshop caught fire 1)”World of Lego Toys” by Henry Wiencek, book published by Harry N. Abrams in 1987. The fire could have ended the story. But, though he did not already know, Ole Kirk Christiansen was building an empire of toys. So he took it from the beginning once more. Ole Kirk Christiansen had 4 children. His wife passed away far too early. What do you think a carpenter does to ease his children’s sorrow after they lost their mother? He crafts them a toy. It was a wood duck. And kids adored it. Seeing how much success his small toy had with his children, Ole Kirk Christiansen thought it would be good to create others and sell them. He always had spare parts from his work. And the economic crisis had reduced a great magnitude of orders, he had a lot of spare time. From a toy, a new business was born. In 1932, there were all sorts of wooden piggy banks and wooden houses. At that time, the plastic revolution had not yet begun. 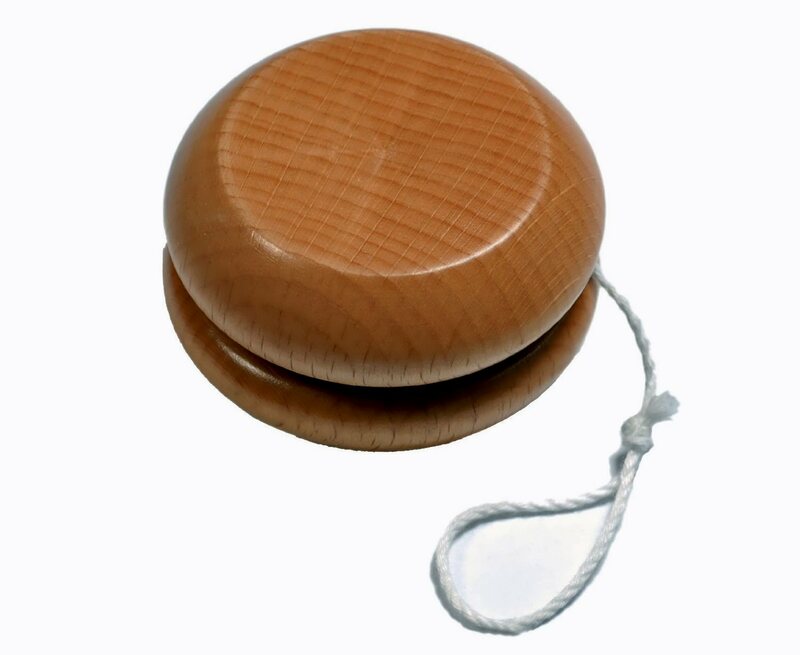 For a while they had great success with the production of yo-yo. Until this trend died suddenly and there was a bunch of stock still remaining. Not to lose out, they turned them into wheels for cars. I do not know if you got it, but the idea of using the same parts for different things really catches up fast. When you have a company that makes toys, you need a brand that sounds good. So in 1934, Ole Kirk Christiansen held a competition in the company, whoever found a fitting name for the company would receive a prize, the prize being a bottle of wine made by him 2)”World of Lego Toys” by Henry Wiencek, book published by Harry N. Abrams in 1987. Not as easy as it seems. What would you have proposed? You already know which one was the winner. Interestingly, is that only later did they realize that “Lego” sounds like “LIGO”, which in Latin means “to bind”, “unite”. In fact, they did not even think about construction toys then. 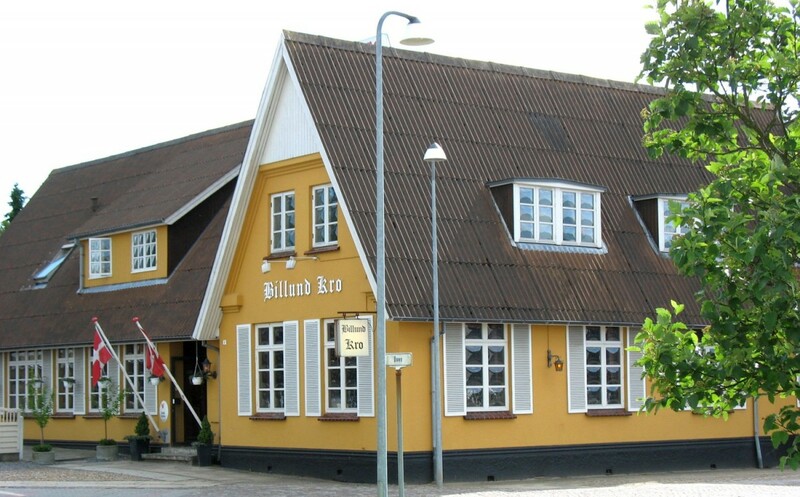 Lego has its headquarters, from the beginning, in Billund, a Danish village, which in the ’30s had approximately 300 inhabitants. The settlement increased with Lego, but even today it’s not big: in 2012 there were 6146 inhabitants 3)”Billund, Denmark” in Wikipedia. 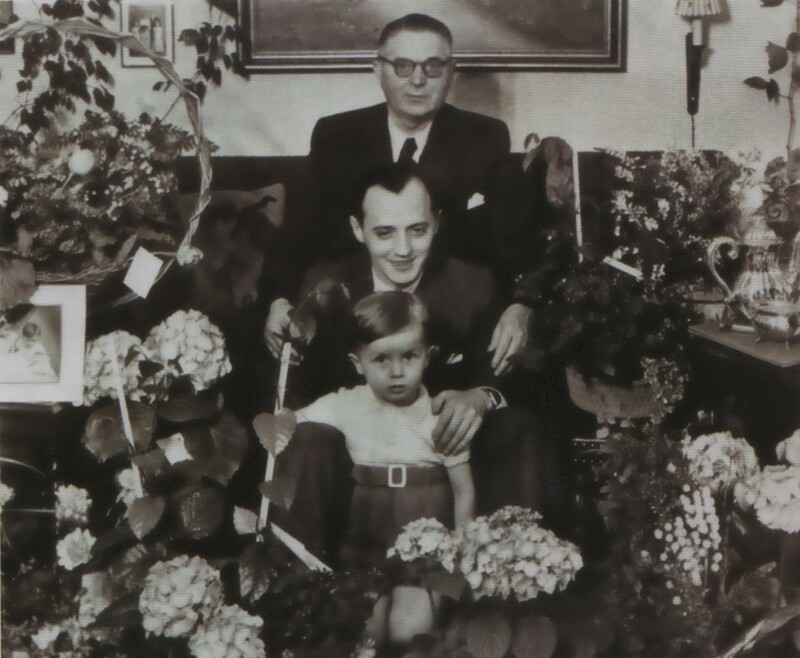 In the early ’30s, Kirk Christiansen Godtfred – son of the founder – started working in the company. He was still a teenager. But you know, you graduate Toy University in your childhood. He was already an expert. On 8 July 1950, on his 30th anniversary, he received a handwritten letter signed by all family members. Through this, he was appointed vice-president. After his father’s death in 1958, he took over as president. Moreover, in 1960 his siblings sold him all the shares, making him the company’s sole owner. Godtfred became the father of 3 children. One of them – Kjeld Kirk Kristiansen – followed in his footsteps. Since his childhood, Kjeld took part in the design and testing of new toys. Do you know what it’s like to be a child and have your fill of Lego?! He even appeared in ads. Practically all his life was Lego. Naturally, in 1979 he became president of the company. He was only 31. In March 2015 Kjeld Kirk Kristiansen’s fortune was valued by Forbes at 9.7 million dollars. The richest Danish 4)”Meet The Richest Billionaire In Every Country” by Liyan Chen, article published in Forbes on March 2, 2015. From a business with toys. After World War II passed, plastic became the new thing in Denmark. 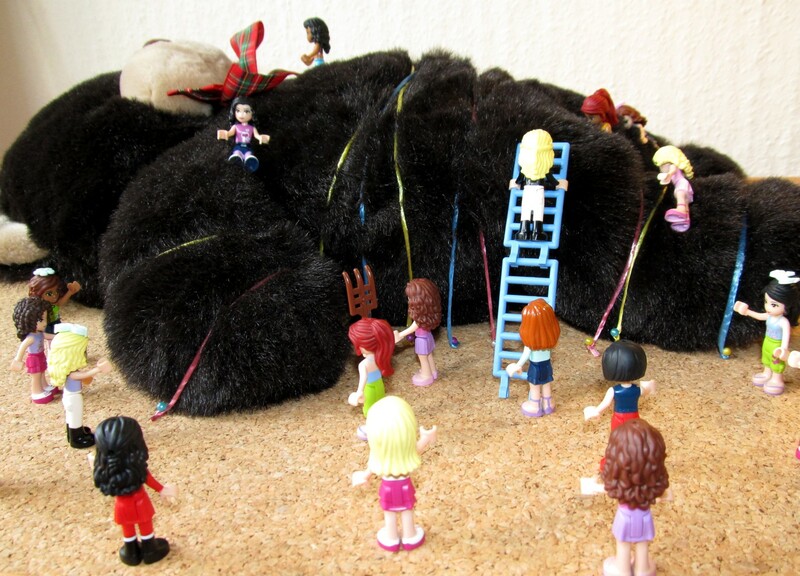 It opened new opportunities and a toy manufacturer could not miss this opportunity. 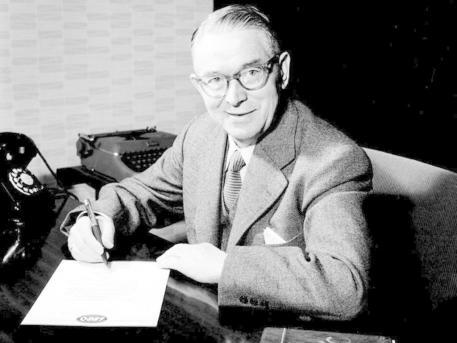 Lego bought his first plastic injection facility in 1946. Remember the car with wheels made of yo-yo pieces? 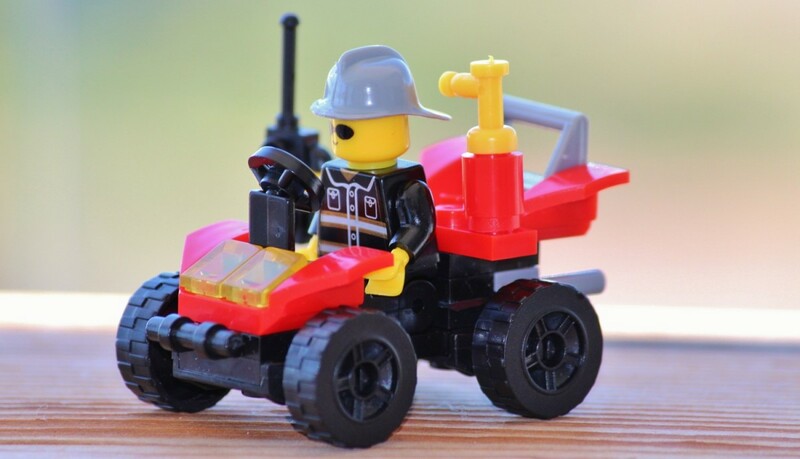 Coincidentally or not, the first Lego toy made of plastic was a car that could be mounted and dismounted. And they made several models, with all kinds of accessories. When you say “Lego”, you think “interlocking bricks”. It is one of the most wonderful ideas. Children love it. And as a parent, only the cost can prevent you from buying them. But to tell the truth: the interlocking bricks were invented by Briton Hilary (Harry) Fisher Page. I said “invented” because the man has obtained several patents for “building self-locking bricks,” as the concept was called 5)”Improvements in toy building blocks” – patent granted to Harry Fisher Page in UK on November 25, 19406)”Bloc pour jeux de construction” – patent granted to Harry Fisher Page in France on November 26, 19467)”Bloc pour jeux de construction” – patent granted to Harry Fisher Page in France on January 31, 19478)”Improvements in toy building blocks” – patent granted in the United Kingdom to Harry Fisher Page on April 17, 19479)”Improvements in toy building blocks” – patent granted to Harry Fisher Page in UK on December 12, 194910)”Improvements relating to constructional toys” – patent granted to Hilary Harry Fisher Page in UK on June 11, 1952. Interlocking bricks were just one of the brilliant creations of Harry Fisher Page, considered to be the man who revolutionized the field of toys in the UK in the mid-twentieth century 11)”Hilary Fisher Page” in Brickipedia. Very similar to Lego, he founded the company that produced toys during 1932. It was called Kiddicraft. At first toys were made of wood, but then were switched to plastic, the advantages being numerous. The guys from Lego learned about the interlocking bricks produced by Kiddicraft when they bought the plastic injection molding machine. They liked the idea so much that in 1949 they were producing themselves. Without having ever contacted the inventor. At the time, Lego was a small business. They sold only in Denmark and not even there exceed in sales. Many of the sets of bricks were returned as unsaleable. They probably didn’t even violate any laws, because a patent obtained in one country is not valid in another country. Anyway, very questionable. Harry Fisher Page died in 1957 without ever knowing what the Danes did with his invention. 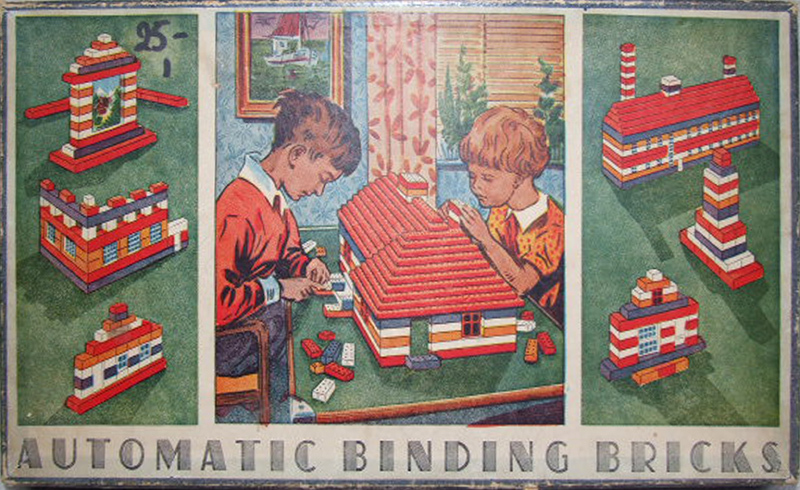 As luck would have it, in 1958 Lego entered the UK market (with a range of other products). 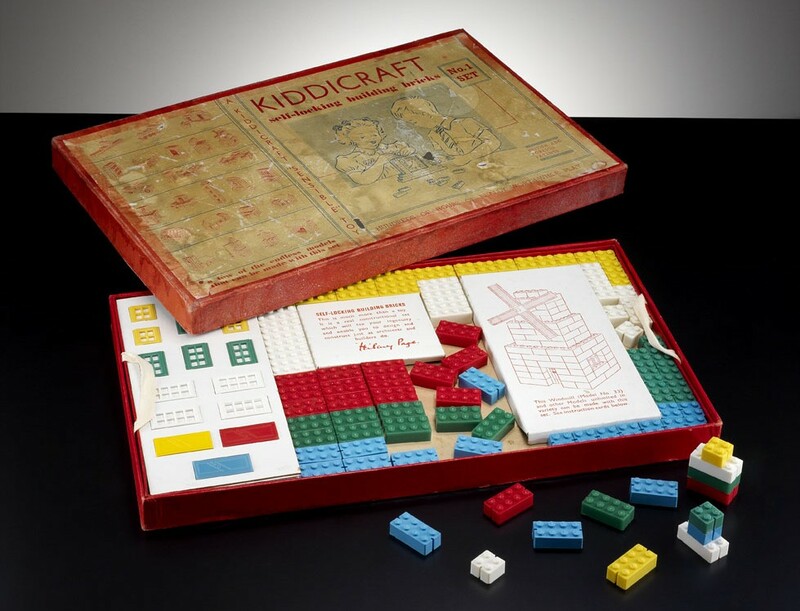 In 1981, Lego acquired the right to produce Kiddicraft bricks 12)”LEGO Studies: Examining the Building Blocks of a Transmedial Phenomenon” by Mark J.P. Wolf, book published by Routledge in 2014. Although not presenting an interest anymore. Was this gesture meant as an apology?! In 1957, the guys from Lego designed a more intelligent method of connecting the bricks, and in 1958 they got a patent for it 13)”LEGO Studies: Examining the Building Blocks of a Transmedial Phenomenon” by Mark J.P. Wolf, book published by Routledge in 2014. It is the same system bricks have nowadays, that lasted more than half a century. I’m talking about the small tubes inside the bricks. They allow a much better coupling. 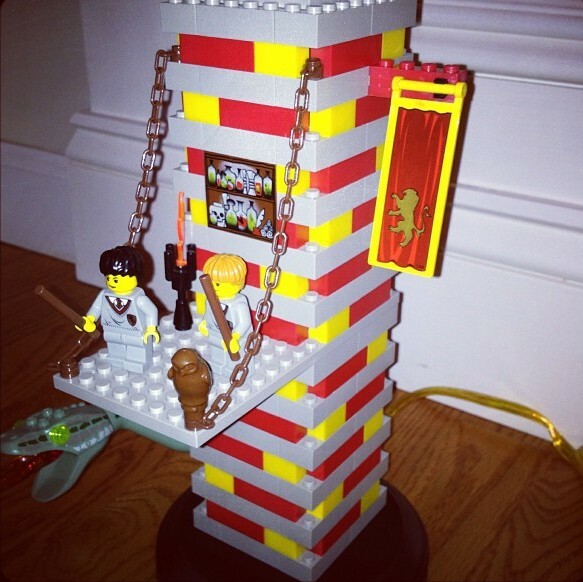 Basically, this is the key to the phenomenal Lego brick’s success. For this seemingly simple detail, Lego deserves all our admiration. All Lego bricks from 1958 until now can connect with each other. They can be passed along from one generation to another and still work as a charm. Remember how Lego initially copied Kiddicraft? Now it is their turn to be copied by others. Ironic, isn’t it? 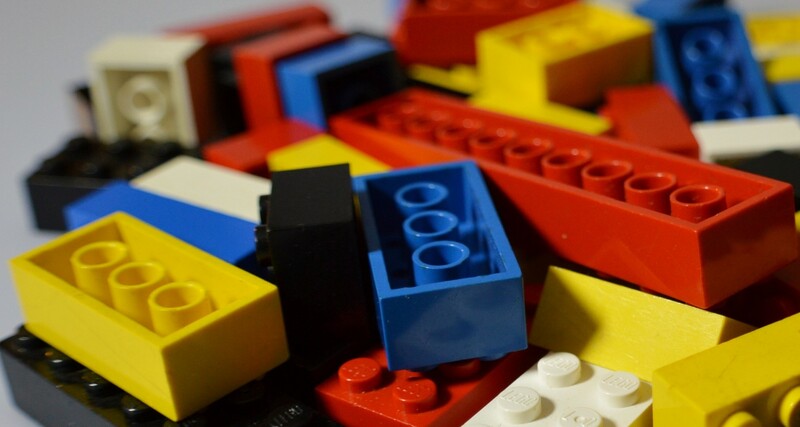 Once the patent system to connect the bricks expired, several companies began to produce “compatible parts” 14)”Lego clone” in Wikipedia. For a while, Lego sued different manufacturers for different reasons. They won several important law suits – until the competition learned to avoid objections and Lego started losing trials. The best known law suit is against the Canadian company Mega Bloks. After years of lawsuits, in which Lego initially appeared to be successful, Mega Bloks won. 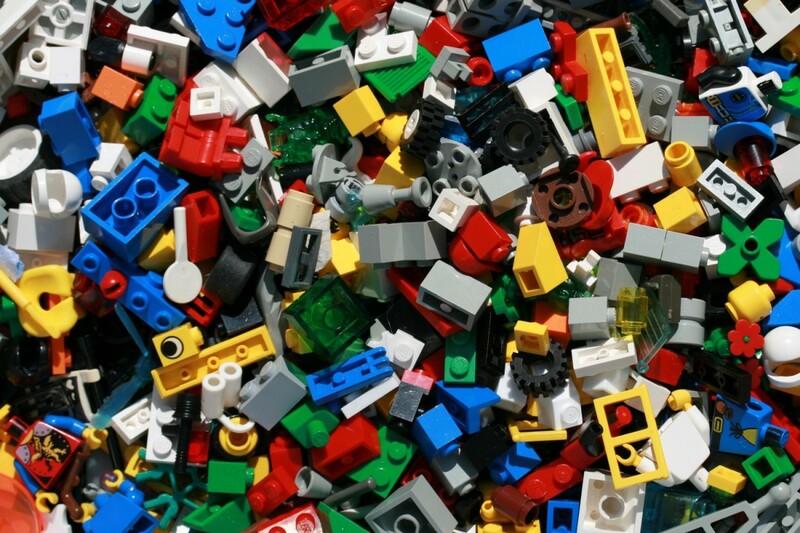 Basically, the court ruled that anyone can produce Lego bricks as long as there’s no mention of Lego. After that, Mega Bloks became Lego’s main competitor on this market segment, with quite a lot of success. So you can also start a profitable business with the interlocking bricks. All you need is a good designer. Plus a better lawyer. Six 2×4 bricks (most common) can be combined in 915,103,765 ways 15)”The Making of…a LEGO” by Joseph Pisani, article published by Bloomberg on November 29, 2006. Now that’s versatility! 6 Lego bricks can be combined in incredibly many ways. 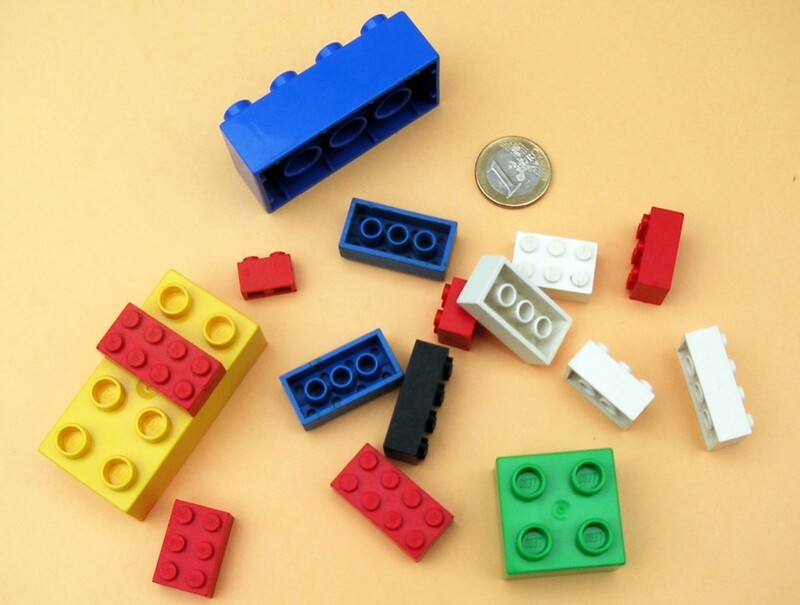 To make Lego bricks suitable for smaller children, the Duplo format appeared in 1969. Basically, bricks are twice the width, length, and height. The genius part is that as the child grows older, he can use Duplo bricks along with the normal ones, as they can be joined together! Well, I’m talking about toy tires. But Lego holds this record since 2012, confirmed by Guinness World Records 16)”LEGO Group officially the world’s largest tyre manufacturer” – advert published by Lego June 20, 2012. Only in 2014 it produced 650 million tires for cars and other vehicles 17)”LEGO® Fun Facts – Did you know?” – video published by Lego on May 16, 2015. 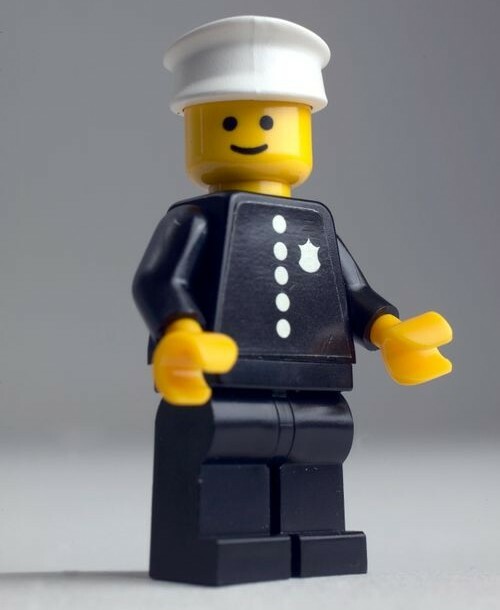 Despite the long experience that they had in achieving the Lego sets with all kinds of trees, cars, accessories, etc., only in 1978 they decided to create minifigures. Cause they needed someone to bring justice in the world of bricks, right?! Despite the fact that there had been various versions of minifigures, absolutely all of them had exactly the same face. Sure, a pleasant and smiling face, but think about what it would be like if everyone you meet had the same expression – smiling! Wouldn’t you start to feel like you were in a nuthouse?! 11 years passed until someone at Lego got the idea that something was wrong. Since then, there have been dozens of heads with facial expressions. Lego has given birth to over 5 billion minifigures. 550 million only in 2014 18)”LEGO® – Fun Facts – Minifigure Edition” – video published by Lego on May 1, 2015. Some of them may have gotten lost, but they’re still more than the Chinese. I’m telling you: Lego minifigures will be the masters of Earth!! Lego has already produced over 760 billion pieces 19)”LEGO® Fun Facts – Brick Edition – Did you know?” – video published by Lego on May 9, 2015. In fact, statistics are exceeded every minute, the production being immense. 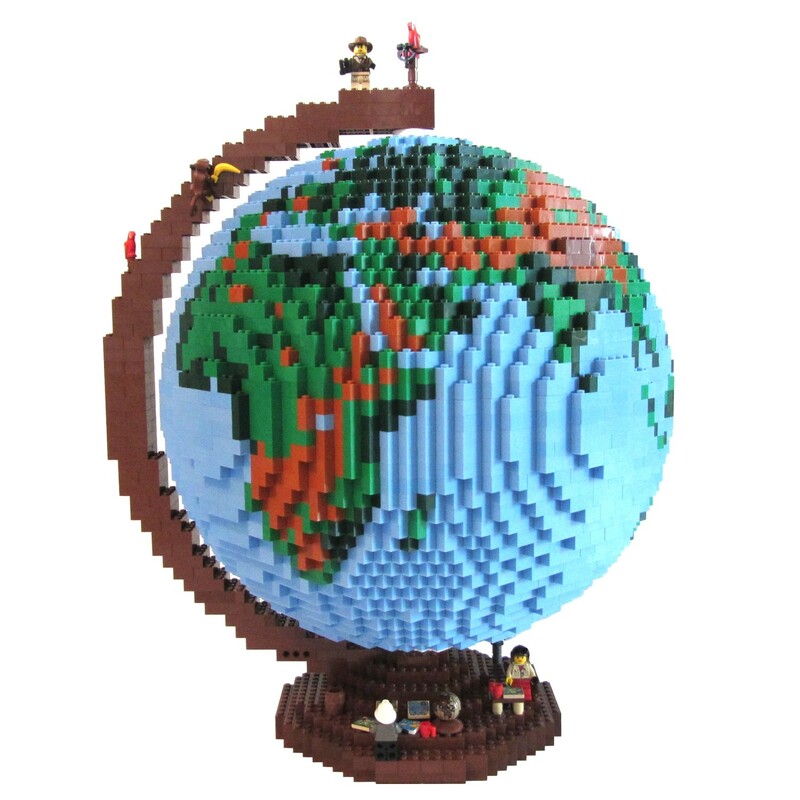 At an equal distribution, if every man on the planet would receive enough parts they could build something interesting – 100 20)”LEGO® Fun Facts – Brick Edition – Did you know?” – video published by Lego on May 9, 2015. Electric train enthusiasts are usually looking for models that are as realistic as possible. So Lego is not the first option that comes to mind. However, Lego makes trains in their own style with surprising success. 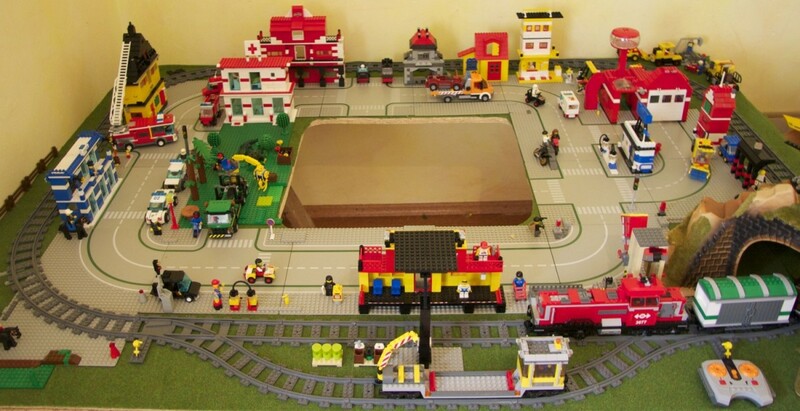 There are clubs of enthusiasts worldwide, united in International Lego Train Club Organization (ILTCO). They have conferences, publications, etc. 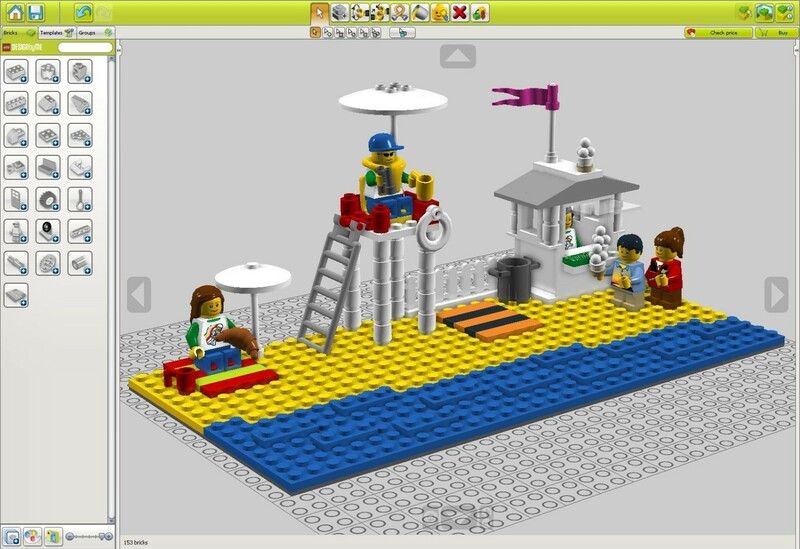 There are even computer design programs such as BlueBrick (it’s free, you can play with it). In 2000, both British Association of Toy Retailers and Fortune magazine chose Lego bricks as the most successful toy of the twentieth century 21)”LEGO Studies: Examining the Building Blocks of a Transmedial Phenomenon” by Mark J.P. Wolf, book published by Routledge in 201422)”The Making of…a LEGO” by Joseph Pisani, article published by Bloomberg on November 29, 2006. Barbie, Action Man, and Teddy Bear lost ground. A lot of Lego animation movies were made. So the idea of a feature appeared somewhat natural. But in what was supposed to be an interesting movie, a phenomenal movie took shape! “The Lego Movie” has managed to gather Batman, Superman, Wonder Woman, Gandalf, William Shakespeare, Abraham Lincoln, Green Lantern, Han Solo, and C-3P0 in the same adventure. On the opening weekend, “The Lego Movie” grossed 69.1 million dollars. It’s the best debut of an animated film made under Warner Bros. brand, surpassing even “Happy Feet” 23)”Weekend Box Office: ‘LEGO Movie’ Opens To $69 Million” by Scott Mendelson, article published in Forbes on February 9, 2014. But beyond financial success, “The Lego Movie” is one of the best animated films of all time. Has a score of 7.8 on IMDB, which places it in Highest Rated Animation Feature Films! To have the most successful product for children of all ages, but still not be profitable – what a paradox! Kjeld Kirk Kristiansen realized that a business of this magnitude, no matter how dear it would be to him, can’t be driven by any individual. He saw that years had gone from bad to worse. So he appointed Jørgen Vig Knudstorp (PhD in economics) at the forefront of his business – the first leader from outside the family, after 88 years of company existence 24)”Lego: play it again” – article published in The Telegraph on December 17, 2009. 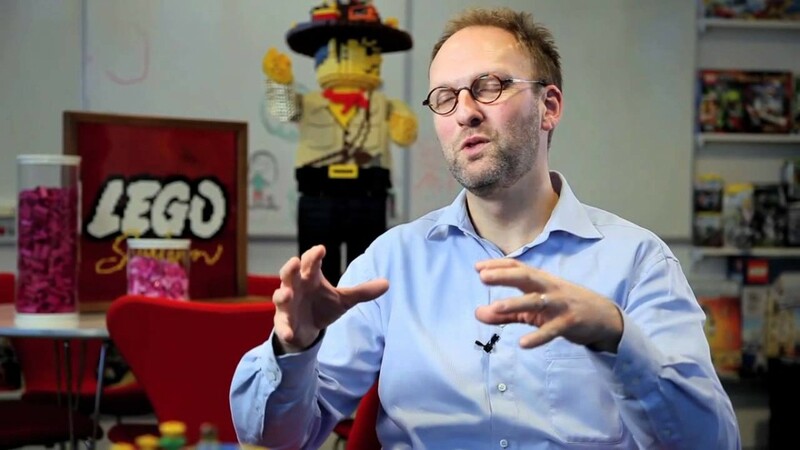 And this man has done real magic with the income 25)”Brick by Brick: How LEGO Rewrote the Rules of Innovation and Conquered the Global Toy Industry” by David Robertson and Bill Breen, book published by Crown Business in 2014! After the incredible success that “The Lego Movie” had, Lego became the largest toy manufacturer (judging by market value), outpacing the Mattel and Hasbro 26)”LEGO Studies: Examining the Building Blocks of a Transmedial Phenomenon” by Mark J.P. Wolf, book published by Routledge in 201427)”Here’s why Mattel ousted its CEO Bryan Stockton” John Kell, article published in Fortune on January 26, 2015. Everyone wants Lego! According to the classification made by Brand Finance, an appreciated consulting institution, Lego has become, in February 2015, the most powerful brand worldwide. Not just for toys, but in any field. 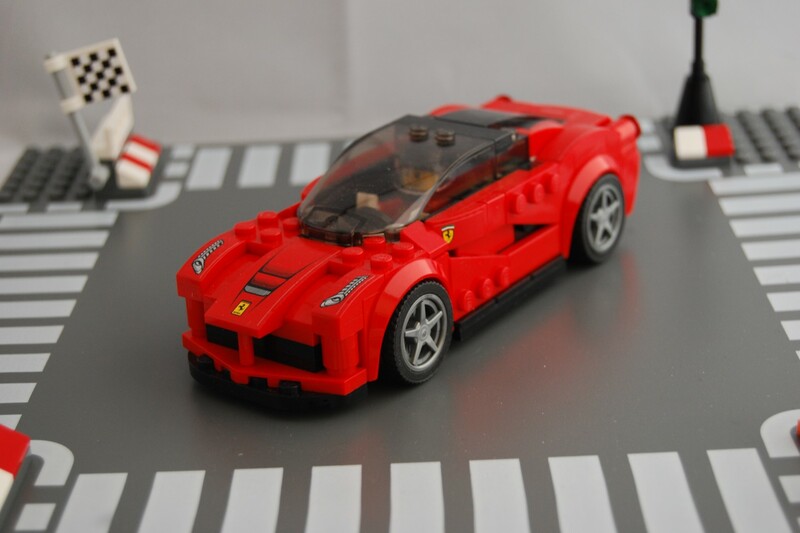 It exceeded Ferrari 28)”Lego Overtakes Ferrari as the World’s Most Powerful Brand” – advent published by Brand Finance. All that remains is to keep it going: innovation, consistency, creativity! When it comes to Lego, the question remains: is it a toy or game? In fact, it’s more than both. Lego is a materializing dream. Pixels of the mind. Palpable imagination. A very thoughtful study (of course! ), with relevant arguments and comparative images with lots of superheroes. Lucian Velea is a Lego enthusiast since childhood. And father of a little girl which surprises him with what she builds with Lego. Previous PostAttention! – All the Things You Never Knew about ItNext PostThe World is Full of Colors – But Do You Know How Many?